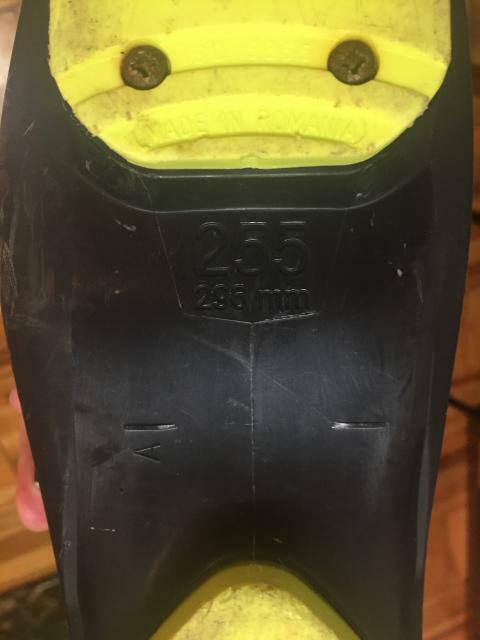 The boots are 296mm in length. I got new boots this season after visiting a bootfitter who said that these boots were both too long and too wide for my foot. (Insert eyeroll at original bootfitter here). 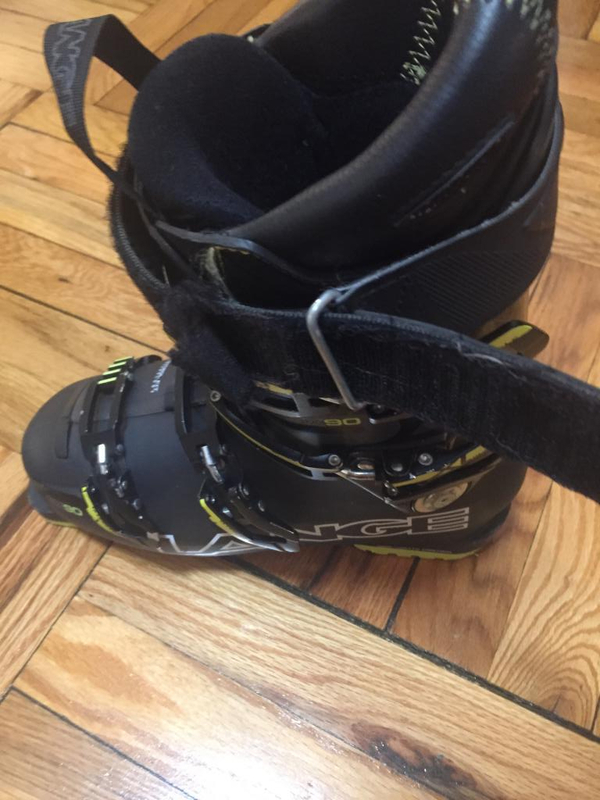 I purchased them at the beginning of the 2015 ski season, and have skied maybe ~50 days on them, so there's still plenty of liner left. There's plenty of scrapes on the shell, and quite a bit of the paint on the buckles has been scraped off, but nothing that should affect anything. The velcro on the power strap is becoming a bit frayed, but it still works. You could probably have that fixed pretty easily if it bothers you. The boots include the SOLE Softec footbeds. 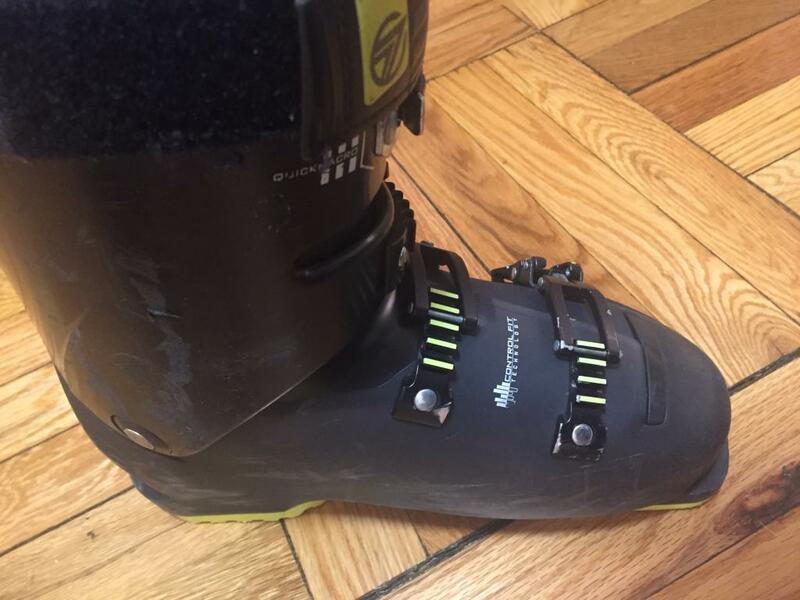 These will make a good boot for an intermediate to advanced skier with slightly larger feet than mine. 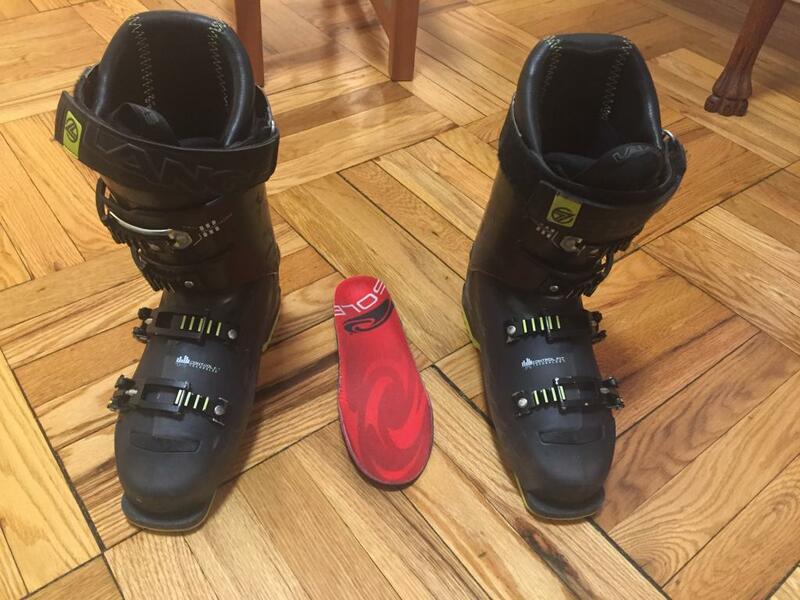 The Lange SX 90 makes a perfect boot for the strong intermediate to advanced skier that has a medium to narrow forefoot and medium to narrow leg shape. Lange's Polyether Shell does a great job keeping a consistent flex regardless of how warm or cold the outside temperature is. The SX 90 is made with a Natural Stance that is more upright with a four degree ramp angle that provides you with more control and requires less energy to make modern skis with rocker and sidecuts react when and how you want them to. Lange's Control Fit Liner has an Instep Pocket that allows your blood to flow easier to your toes, to keep you warmer. A Seamless Toe Box and Anatomically correct padding provide you with a strong heel hold and comfortable toes for all day comfort on the mountain. 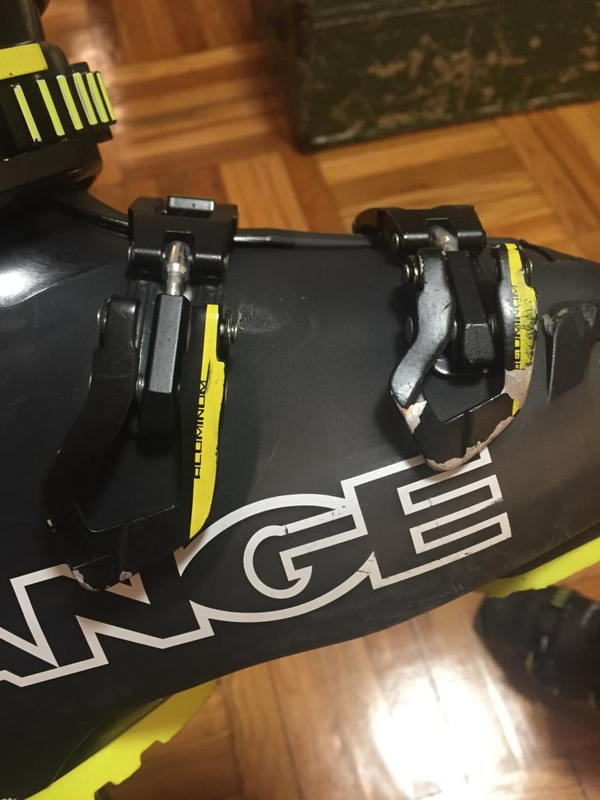 The SX 90 has a 35mm Power Strap that improves your leverage and control over your skis, and allows you to bend and flex the boot easier. 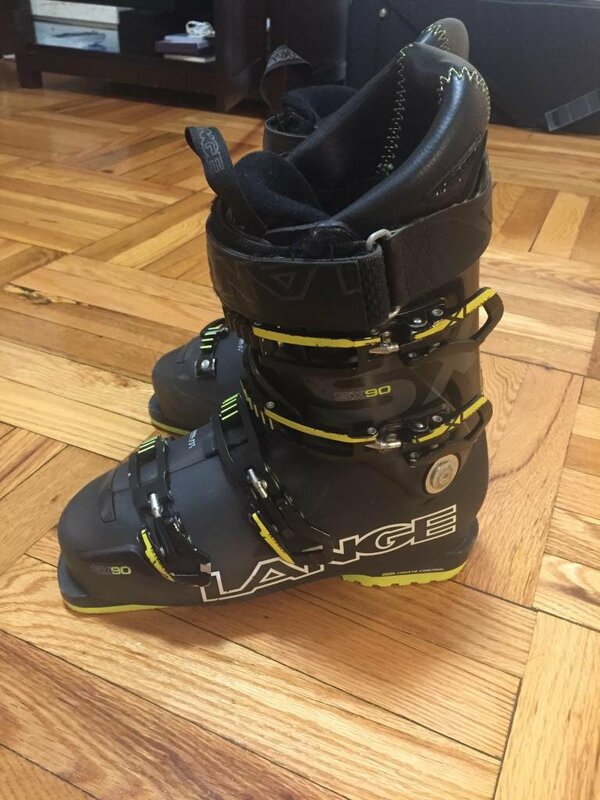 If you are a strong intermediate to advanced skier looking for a medium to narrow fit, in both the forefoot and leg, the Lange SX 90 is your boot.